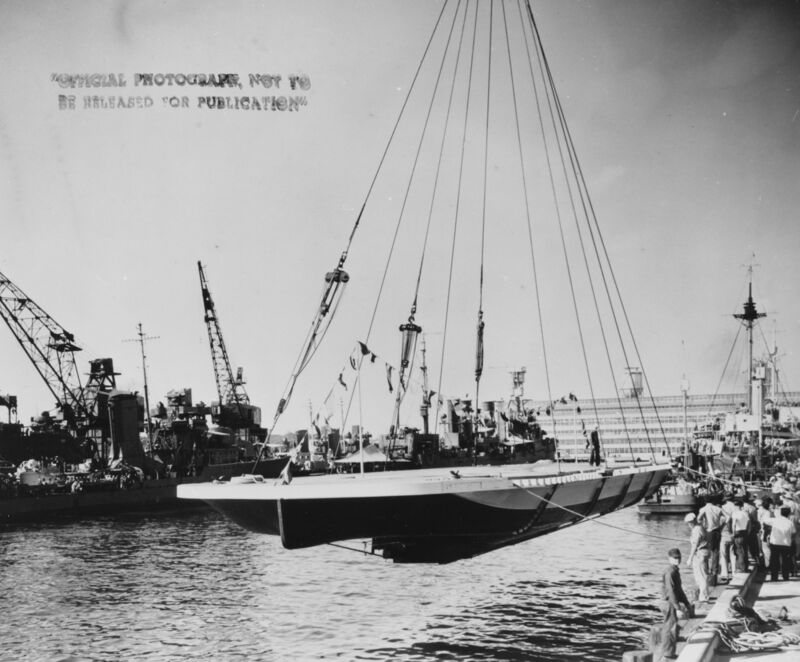 1000k Nihoa (YFB-17) being prepared for "launching" by crane at 1010 Dock, Pearl Harbor Navy Yard, 25 July 1941. 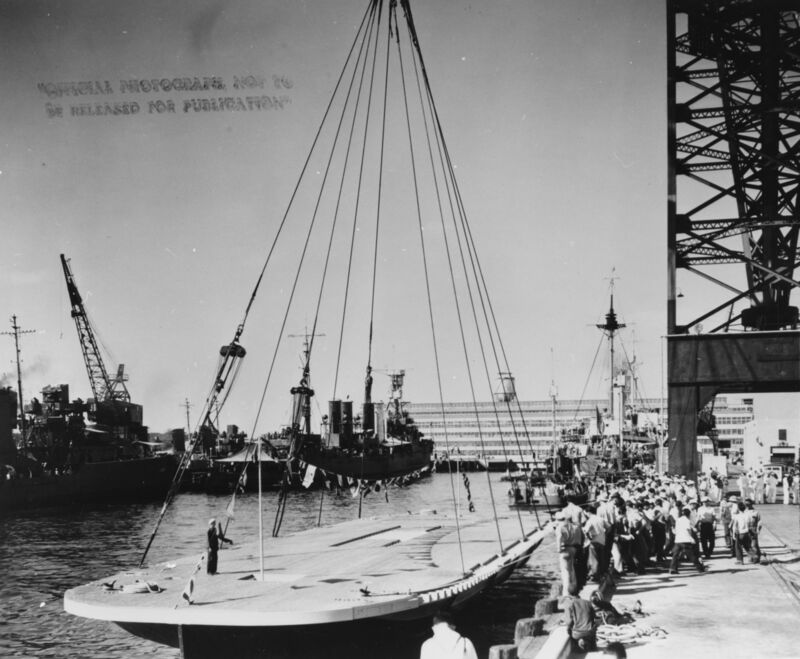 Other vessels visible are torpedo testing barge YTT-3 (used as the harbormaster's office) and Nokomis (YT-142). 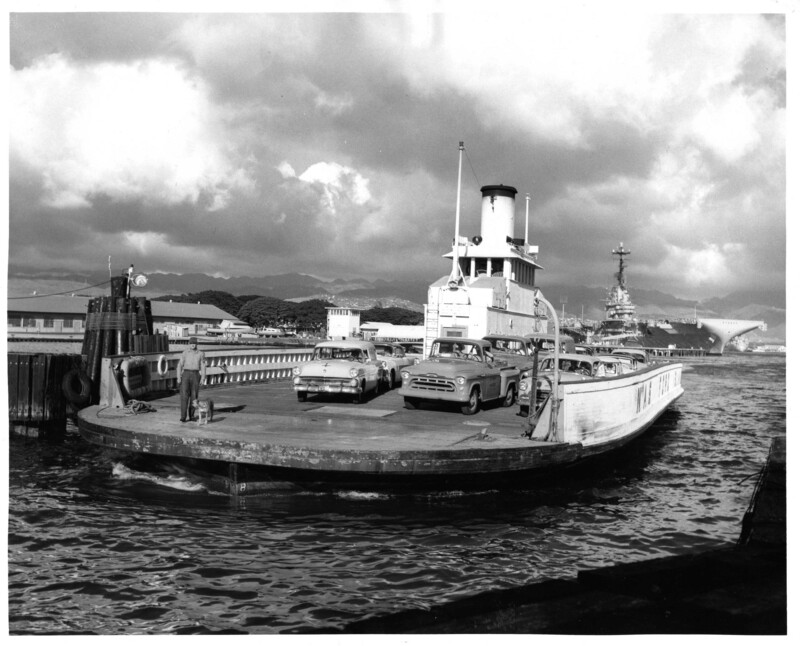 The larger tug is probably Keosanqua (AT-38). 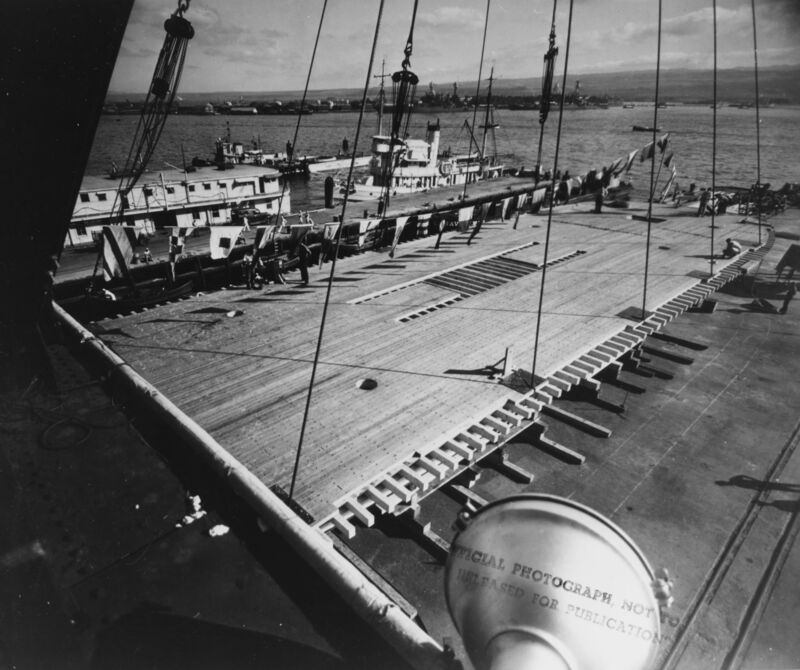 1029k Nihoa (YFB-17) underway at Pearl Harbor, probably on final trials before delivery, 03 November 1941. Her high visibilty 'checkerboard' paint scheme is very evident here. 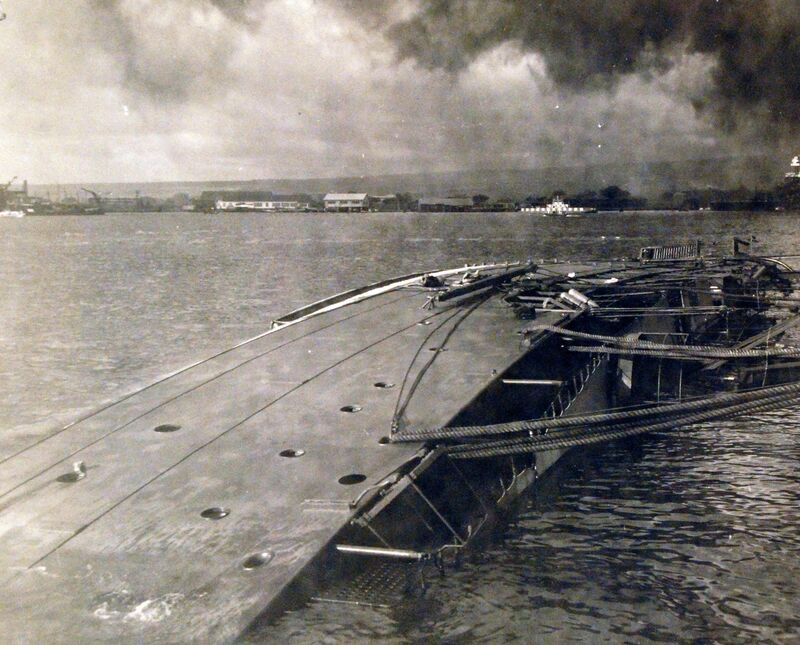 1036k Nihoa (YFB-17) is just visible above the capsized Oglala (CM-1) shortly after the Japanese attack on Pearl Harbor, 07 December 1941.Note her original 'checkerboard' paint scheme, designed to make her more visible in the busy harbor. 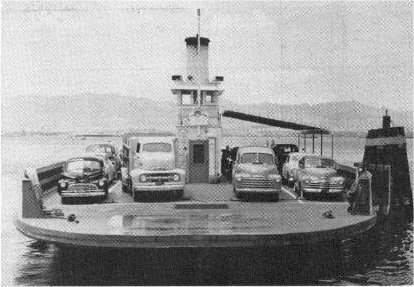 1222k Nihoa (YFB-17) carries autos, trucks, and sailors from Ford Island to Oahu during one of the ferry's hourly 'voyages', circa 1950-1960. 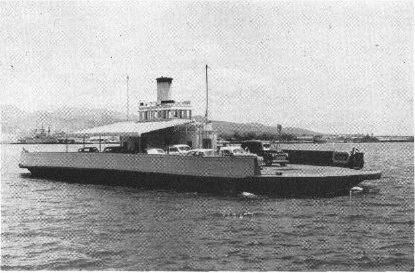 Original caption "BATTLE WITNESS- The Ford Island ferry, which still shuttles across Pearl Harbor, was caught in the middle of the harbor during the 1941 attack. 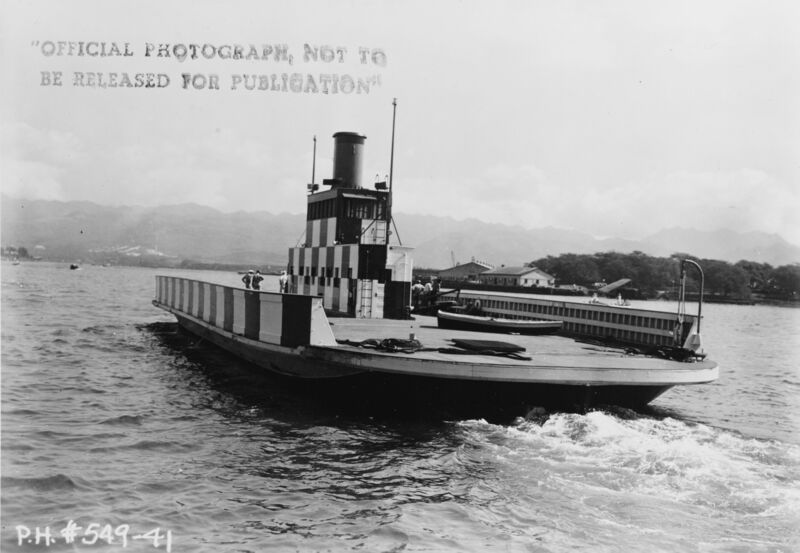 Though cruising amidst bombs and torpedoes, the ferry completed its run unharmed."